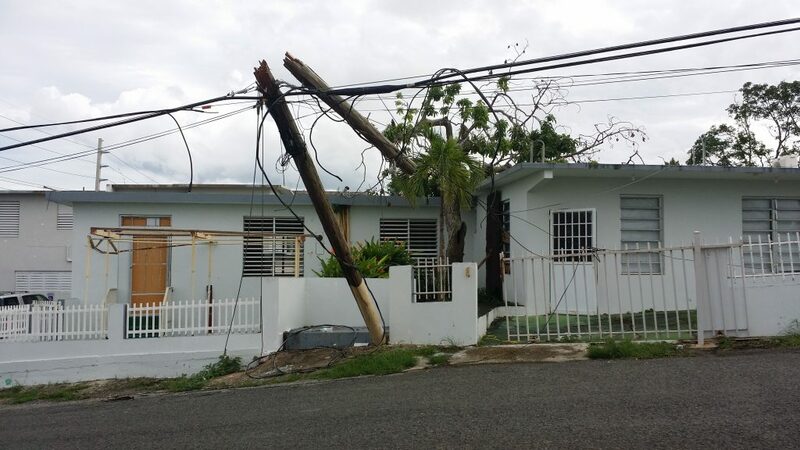 Hurricanes Irma and Maria hit Puerto Rico hard, but the local pastors are up for the long task of recovery ahead. 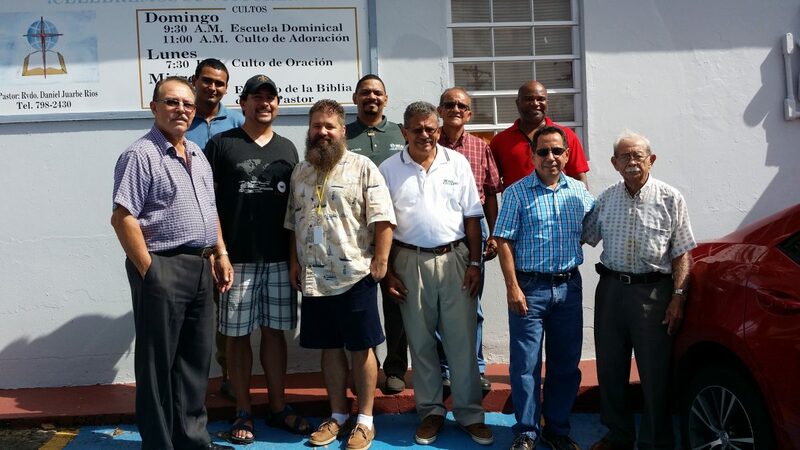 On my trip to the island last week I met men who have a strong resolve to see God glorified in their communities. The immense damage left in the wake of the storms may take years to overcome, but I was encouraged by the strength, determination, and vision of the local pastors. We need to stand beside these men, and their churches, as they stand up for the glory of God. The most pressing need is power. Unfortunately there is nothing we can do to expedite the power grid getting back online, but we can pray toward that end. As we traveled around we didn’t see many places with power. Electric lines were still mangled and hanging on the road and not until the last day of the trip did I see any power company trucks working. Estimates say that it may take over a year to get juice flowing again. In the meantime Southern Baptist Disaster Relief has equipped each church and pastor with a generator. I brought some solar powered USB battery chargers and power banks. It was a small thing, but they were greatly appreciated. I stayed in the home of Pastor Brad Williams, a church planter from Texas. He served as a great host, despite the fact we didn’t have electricity or hot water. The water that we did have, had to be filtered for safe drinking. Brad has been in Puerto Rico for a couple years now and has earned the respect of his community. He is very fluent in Spanish and has been teaching English classes with great success. In this time of crisis he has been doing an excellent job in managing the Southern Baptist Disaster Relief warehouse. 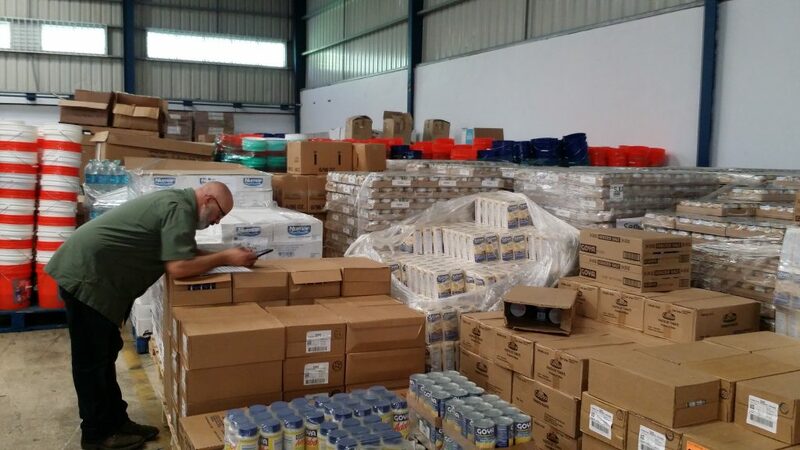 Food and supplies flowing through the North American Mission Board get pushed out to churches across the island. 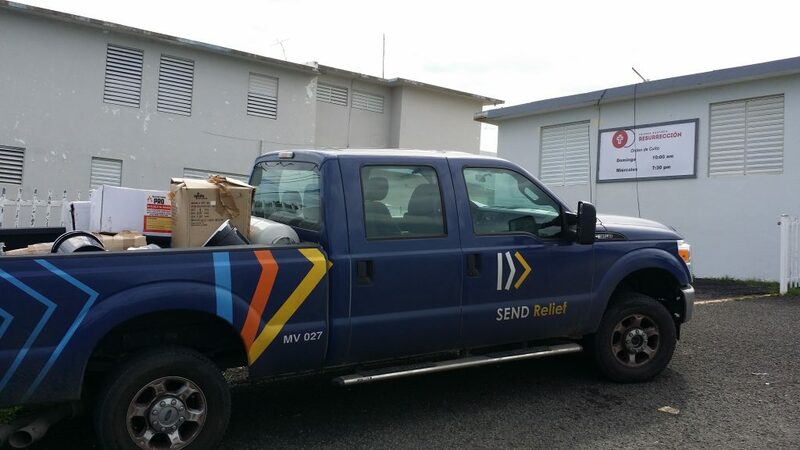 Some churches are able to come pick up supplies and we were able to deliver to others. I found several church buildings in need of repair. In God’s good providence, none were completely destroyed, but they did receive extensive roof damage. The storm pealed all the metal off the roof of one of the churches and the entire roof needs to be replaced. Like many structures in Puerto Rico, another one of the churches I met with, has a flat roof that suffered damage. These types of roofs need to be patched, coated, and sealed. If anyone with experience with these kinds of things would like to make a mission trip, let me know and we will work to make it happen. I can’t thank Mateo Malendez enough for inviting me to tag along on this first trip. He has been making mission trips and building relationships across Puerto Rico for the last several years. He is well connected there and well loved by everyone we came in contact with. The networking he has established is proving invaluable during the relief, recovery, and rebuilding process. I wish I could tell you about each of the pastors I met this week and their amazing stories. To do so would take a full length book. For now, let me just ask you to pray for them, along with their people. They have a rough road ahead. This is not the last you will hear about Puerto Rico. I am determined to persevere in prayer for these men I met this week as they minister to their communities for the sake of the gospel. Let us stand beside Puerto Rico as they stand up for the glory of God.